Bananas Yum! Gluten Free, Wheat Free, Dairy Free, Egg Free, Soy Free. 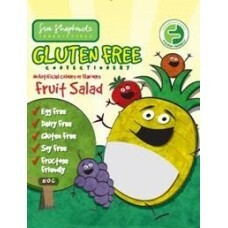 Suitable for the low FODMAP..
Sue Shepherd's Irresistible Fruit Salad Mix can be enjoyed even if you have food allergies..
Jelly Beans Yum! Gluten Free, Wheat Free, Dairy Free, Egg Free, Soy Free. 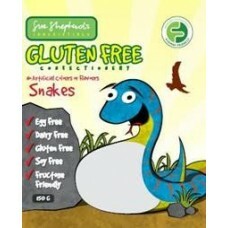 Suitable for the low FO..
Snakes Yum! Gluten Free, Wheat Free, Dairy Free, Egg Free, Soy Free. 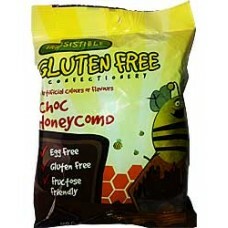 Suitable for the low FODMAP ..
Sue Shepherd Irresistible Choc Honeycomb can now be enjoyed even if you have food allergie..
Jelly Babies Yum! Gluten Free, Wheat Free, Dairy Free, Egg Free, Soy Free. Suitable for the low F.. Milk Bottles Yum! Gluten Free, Wheat Free, Dairy Free, Egg Free, Soy Free. 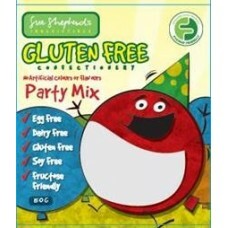 Suitable for the low F..
Sue Shepherd's gluten free party mix with no artificial colours or flavours. Certified FODMAP..
Just try to stop at one bite. This Fructose Friendly and Gluten Free Caramel Chocolate Bar contains&..
Gluten Free, Vegan and Fructose Friendly, this Alter Eco Deep Dark Crisp Mint Organic Chocolate..
Gluten Free and Fructose Friendly, this Deep Dark Sea Salt Organic Chocolate from Alter Eco is avail..
Organic Dark Chocolate and Organic Raspberries make an excellent combination. 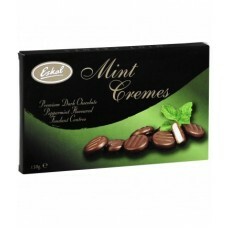 This pack of Dark Choc..
Mint flavoured fondant centres enrobed in 55% cocoa dark chocolate. An ideal gift or great for after..